ABC Services in Cheltenham;are experts in repairing dents on cars and vans - and have been doing so since 1968 50 years ago! ABC Services is a family run Cheltenham Garage established in 1968 providing MOT, servicing, accident repair, and more in Cheltenham and Gloucestershire. 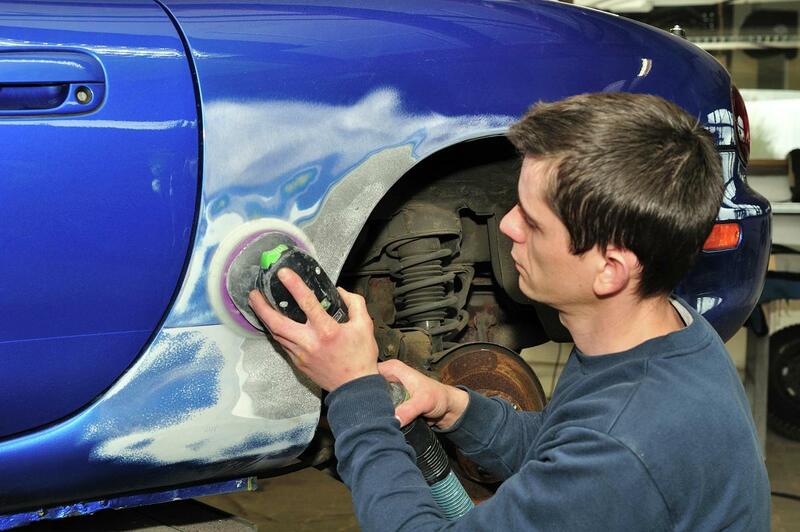 We carry out a wide range of car body repairs for all major insurance companies and private customers, from dents, scratches and scrapes to full resprays, welding and jig work. If you have an accident that is - or isn't your fault or liability please bring your van and insurance documents to us and we will liaise with the insurance company directly to take the pressure off you. FREE dent estimates, we can even come to your home or workplace to carry out the repair estimate. Always remember; as the Vehicle Body Repairers Association says – “It’s your van and your choice where you have it repaired." The Office of Fair Trading Association of British Insurers and Financial Services Authority all agree: - It’s your right to choose who repairs your vehicle. We ensure that any repair to your vehicle is of the highest quality and carried out by trained technicians in our fully equipped workshop.